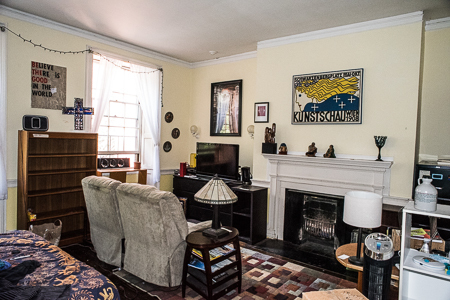 Some residents of Beacon Hill Friends House call it the house of love. Sometimes when we’re feeling warmed by the care we show one another, it means just what it says. Other times, when tensions are high, it’s used sarcastically. For me, house of love means a commitment to enter a school of love whether life is warm and fuzzy or fingernails-on-a-blackboard. It’s all about learning how to keep expanding the circle to include more and more, learning to love whom and what is in front of me instead of wishing they were different. In her book, My Accidental Jihad, Krista Bremer describes the development of her relationship with her husband, Ismail, a Libyan Muslim. She is honest about the ways their cultural differences grate. She reports him telling her that Mohammed once said that the most difficult jihad people must fight is within themselves – against intolerance and self-absorption. That’s what the house of love is all about: Learning how to let go of my intolerance and self-absorption. And there’s nothing like living in a diverse community to make me confront it. Take a small example. We have a dish sanitizer (called the Avenger). I believe the rack should be loaded logically, putting likes with likes so more will fit. 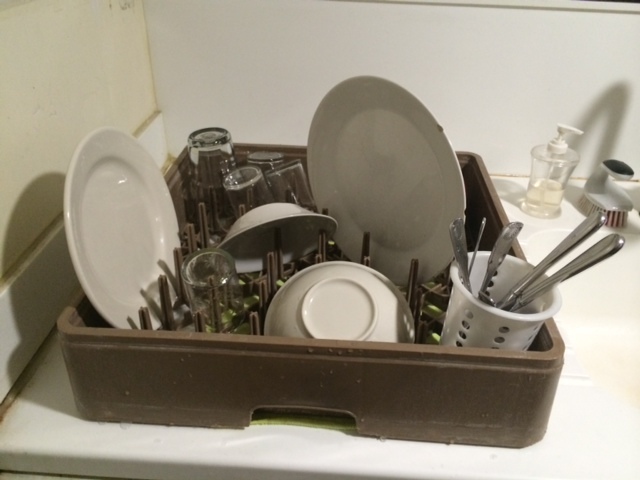 I can become quite grumpy if things have been put in helter skelter and there’s no room for my dishes. I’ve even been known to reload it to make more things fit because my preferred way of doing it is most likely the right way. It took a long time before I could hear another housie’s concern that loading the sanitizer rack too densely might make it heavy enough to hurt someone’s back when they put it into the machine. 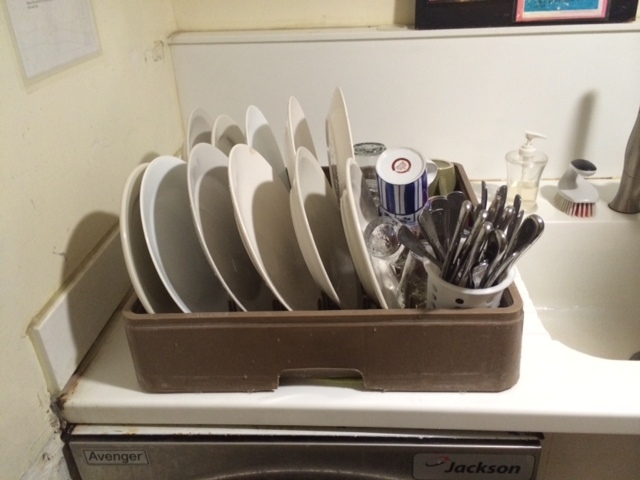 Granted, how we load dishes is a small thing. But, small things contain the seeds of bigger things. Often how I behave about small things says a lot about how I will behave with larger ones. Whenever I get grumpy because it’s not going my way, it’s a warning sign that self absorption is in play. The message I’m sending at that point is that the other person doesn’t count as much as me. Their concerns become invisible to me. When I become that self absorbed, compassion and tolerance take a hike. If I feel grumpy or resentful about something going on in the house, I walk away from it and examine myself and the situation. Am I tired and not taking care of myself and thus more irritable? Am I making assumptions about how things should be based on my viewpoint alone? Have I considered what they other person might be experiencing? If I find myself wanting to avoid someone, I ask myself what’s going on in me and what I need to do about it. If I want someone to be other than they are, I ask for the grace to see the light in them, to love them as they are. I find that prayer is almost always answered if I’m willing to ask it with my whole heart. Sometimes the willingness to ask it is the hardest part when I’m self absorbed. Where do these disciplines get me when I’m willing to engage in them? They gradually shake the foundations of intolerance and begin to pull me out of myself enough that I see what irritated me in a more positive light. I like myself better – the more accepting I am of others, the more accepting I am of myself and vice versa. I enjoy people more. When I don’t need them to be a certain way, I’m open to discovering delightful surprises about them. I’m still at the elementary level of the school of love. I find myself really looking forward to what junior high, high school and even college might have to teach me. At my age it’s pretty exciting to still have so much to learn. This entry was posted in Community, Friends, Tensions. Bookmark the permalink. I love this post, and plan to try to put it into practice. However, I recently was on the receiving end of a clearly gratuitous and unjustified attack by a coworker with whom I am required to collaborate almost daily. I am still puzzling over how to love them as they are while still taking care of myself and protecting myself from abuse. Thoughts? Thanks Suzanne. That is a tricky issue. Loving people as they are doesn’t mean we have to become doormats and love or agree with everything they do. In fact, it requires that we understand we’re all flawed and we each have to set the boundaries we need to protect ourselves and our ability to love. It’s a touch question and tough to figure out. Good luck.